Misophonia: what can you do about it? Misophonia literally means: hatred of sound. People diagnosed with misophonia hate sounds… not all sounds, but specific sounds. 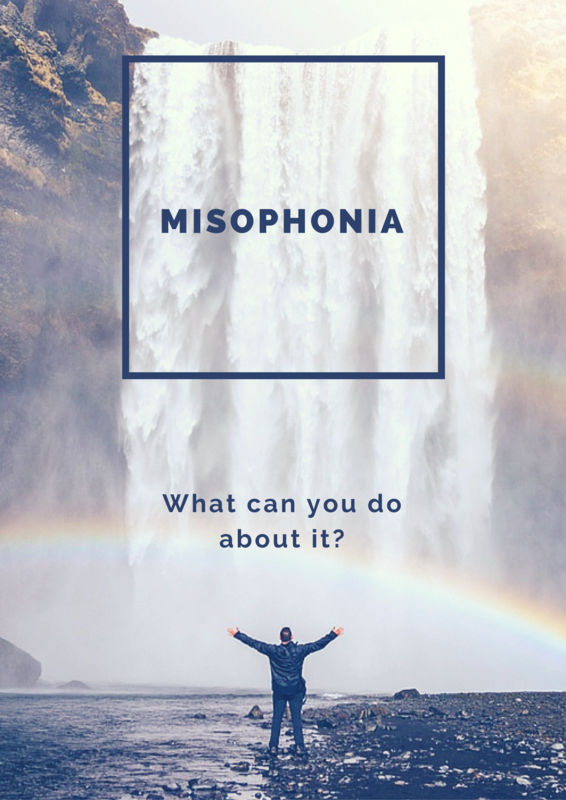 In general any sound can become a problem for someone with misophonia, but it usually are background noises (think of chewing, pen clicking etc.). People with misophonia can respond in different ways: from disgust, irritation, verbal aggression, and physical aggression (directed towards objects) when confronted with the sound . Misophonia treatment focuses on neutralizing the conditioned response to certain noises. In other words, misophonia treatment aims to neutralize the misophonia symptoms. Unfortunately, there is no evidence based misophonia treatment yet, because this mental disorder is relatively new. People are still looking for an effective misophonia treatment. Results of Barends Desensitization©, Eye Movement Desensitization and Reprocessing (EMDR), cognitive behavioural therapy (CBT) and Tinnitus retraining therapy on misophonia look promising, but more research is needed. People who suffer from misophonia experience more and severe misophonia symptoms when they are around people from their inner circle, like parents, romantic partners and siblings. People report less misophonia symptoms around strangers, friends or acquaintances. -NOTE: there are always exceptions: people who experience severe misophonia symptoms when they around around people who are eating. Usually, one person causes the misophonia symptoms to be the most severe. Around others these symptoms are less severe. 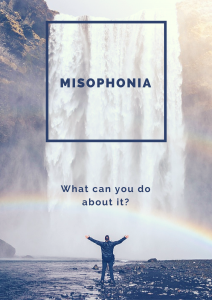 Most people suffering from misophonia experienced at least one childhood traumatic experience, in which feeling helpless or powerless were the main theme’s. Often, these misophonia symptoms developed after this traumatic event. Barends Desensitization© significantly reduces misophonia symptoms in people with mild to moderate misophonia. In some cases, after the misophonia treatment the misophonia disappeared. In more severe cases, Barends Desensitization© reduces misophonia symptoms, but without much practice at home, they return to some extent after a while again. Barends Psychology Practice offers misophonia treatment. If you are interested, please contact us to schedule a first, free of charge, session. What are the diagnostic criteria of misophonia? (F) the lack of another condition to account for all symptoms. According to this study  (small scale, n=42) the age of onset for misophonia is 13 years old (ranging from age 2 to 38). According to these 42 patients the triggering sounds were all produced by human beings (except for their own sounds) ,. However, animal or other sounds did not cause any problem for these patients. 81% of the patients reported that their triggers were eating-related sounds people make. 61.3% of the patients reported that their triggers were related to breathing or nose sounds. 59.5% of the patients reported being triggered by sounds of a clicking pen or typing on a keyboard . Study  mentions that the sounds can also be produced by machines (distant airplane or train) or by animals and that this annoyance and irritation with the particular sound probably developed during childhood/adolescence. If left untreated misophonia negatively affects performance at school, work, family, and social domains. On top of that, avoidance of the particular sound also negatively affect someone’s ability to achieve goals and enjoy social activities . Barends Desensitization© is an online treatment and exists of two stages: during the first stage Eye Movement Desensitization and Reprocessing (EMDR) is used to treat the childhood traumatic experiences, and during the second stage an adjusted form of EMDR in combination with cognitive behavioural therapy (CBT) is being offered to treat misophonia. During stage two, the client receives more feedback from the therapist during the EMDR, and the client is exposed to (eating)sounds produced by the person where the misophonia symptoms are the most severe. The therapist guides the sessions via Skype, to make sure that the session can take place at the client’s place, which creates the most natural environment for the client. A often heard complain from people with misophonia who were treated at AMC in the Netherlands is that the eating sounds were too artificial, and according to Barends Psychology Practice, do these eating sounds not produce the same misophonia symptoms, compared to real life experiences. This limitation is not present during Barends Desensitization©. NOTE: just like with the other, below mentioned, treatment methodes, Barends Desensitization© needs to be scientifically proven. In case you want to contact us for a first, free of charge session for the treatment of misophonia, please make sure that you have a laptop (normal size, with camera and Skype installed), that the person who triggers the most severe misophonia symptoms is willing to participate, and that you are available during lunch or dinner times. Cognitive behavioural therapy (CBT) and Tinnitus retraining therapy (TRT) have been proposed to be effective treatments . Note: the studies testing both the effectiveness of CBT and TRT in reducing the misophonia symptoms were limited in their group size, which makes it more likely that the treatment effectiveness could be explained by other factors but just therapy. Eye Movement Desensitization and Reprocessing (EMDR) has been moderately effective in treating misophonia in a pilot study, but these data need to be reproduced to say something meaningful about it. Fortunately, currently more researchers are busy trying to find an evidence based misophonia treatment. This page will keep you updated.